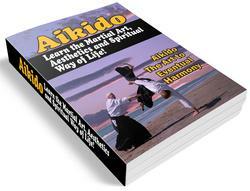 You will find that the more you practise Aikido, the more the self-defence aspect will become of secondary importance. By the physical practice of Aikido we are trying to find the truth by technique. If one's technique is not correct or true, then one's way of life is false and one can never be fully confident of oneself. I think that material things can only bring happiness up to a point but it is the deeper inner happiness that we are seeking and Aikido is one way of finding this. You will find that through Aikido practice your mind will become more positive in deciding matters. As you can imagine, when one is practising and someone attacks you, one has little time to decide what technique to use but one moves the way that one's feeling takes you, either positive or negative. This attack is the same as a problem. If it is an easy one, one can go positively into it. On the other hand if it is a difficult one, one moves one way first to get out of the way and then considers it. But if you hesitate you are lost. It is no good saying afterwards that one should have done such and such a thing. Naturally we all make mistakes. This is a good thing, but one must try and learn from them. This is why to find the 'way' we must always continue to practise our technique and try to put our mistakes right. This is also why Aikido is so interesting as there is no end to it. One never stops learning and there is always something new to learn and improve. I have been asked by people if I am not afraid of the wrong person learning the art and gaining knowledge which could in some circumstances be dangerous. But I know that it takes three years to become proficient at Aikido and if the mind is bad and the intentions evil the technique and the Aikido power will not come out. I believe that if one puts sincerity into the art then good will come out. So I feel that no person with evil intentions can ever find this natural movement. 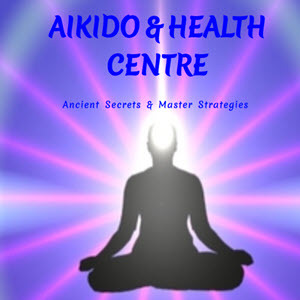 If they use Aikido for bad reasons then they will only destroy themselves. I have known students who have started Aikido in order to use any knowledge they acquire out of Dojo to change their intentions. They become responsible citizens and one has the satisfaction that Aikido has changed their whole character and way of life. They are grateful for what Aikido has done for them. Aikido is for everyone - not just for the few.